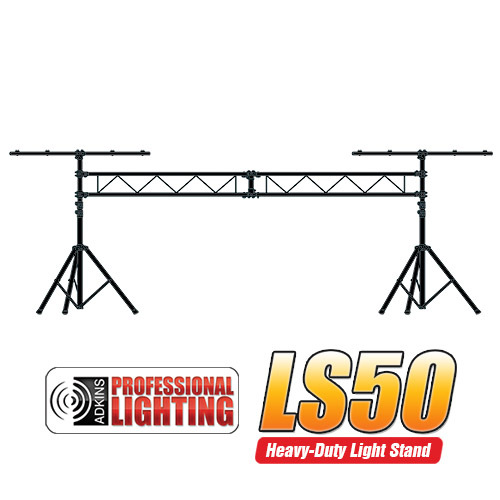 This 100% portable trussing system is easy to set up and very stable. 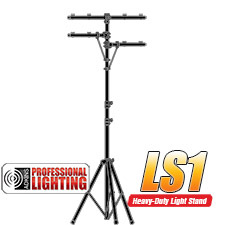 It features 2 Black steel tri-pods which extend up to 9 ft., 2 added 3ft T-Bars on top to hang more lights, two 5ft. 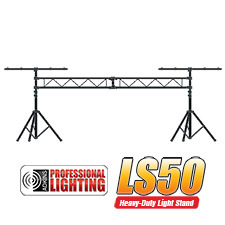 truss I-Beams that fit together to create a 10ft. trussing span. It is ideal for Mobile DJs and bands. 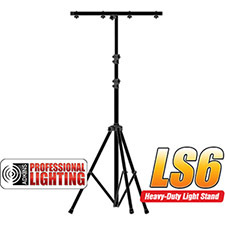 Features 2 Black steel tri-pods which extend up to 9 ft.
2 added T-Bars on top to hang more lights.